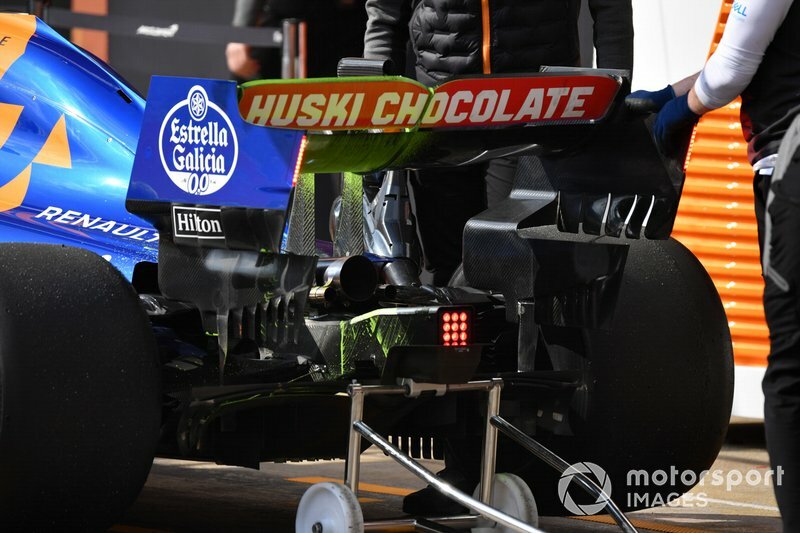 Racing Point’s front wing is more of a ‘halfway house’ solution when we consider the other two ends of the spectrum from Sauber to Mercedes. 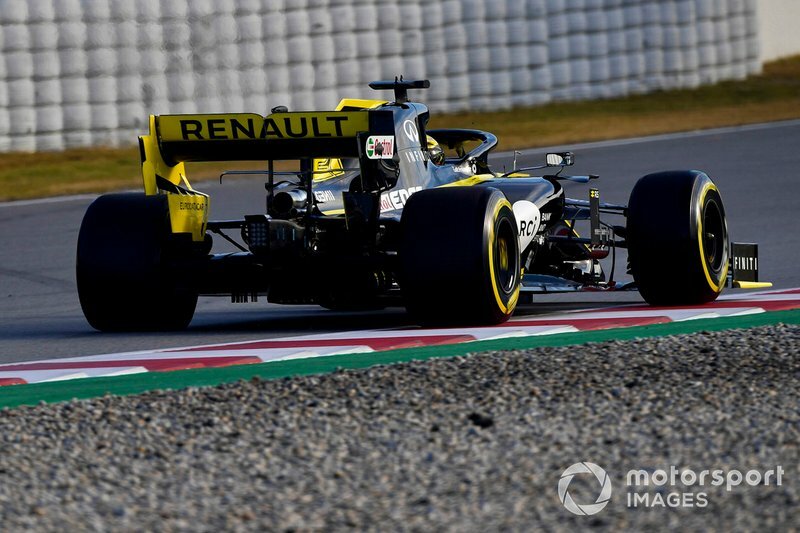 The Renault RS19 from behind, which shows off the aggressive rear wing transition zone. 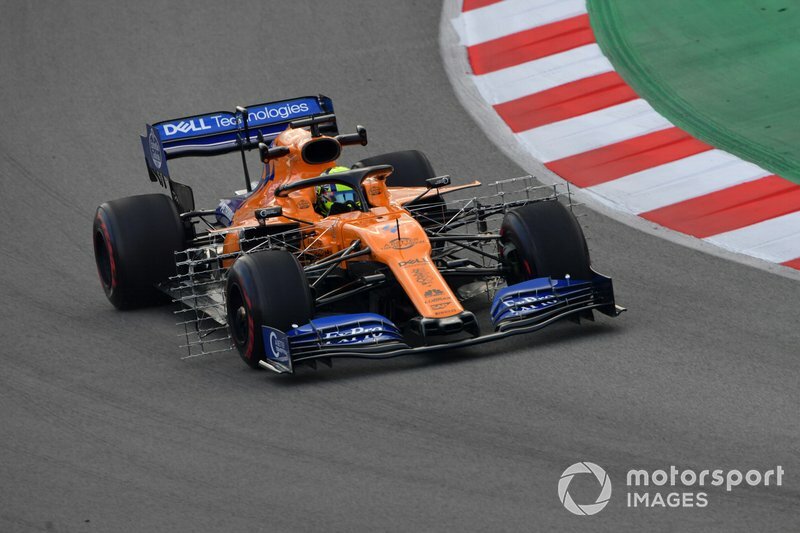 The McLaren MCL34 with a kiel probe array mounted behind the front wheel in order to gather data on the wake generated by the front tyre. 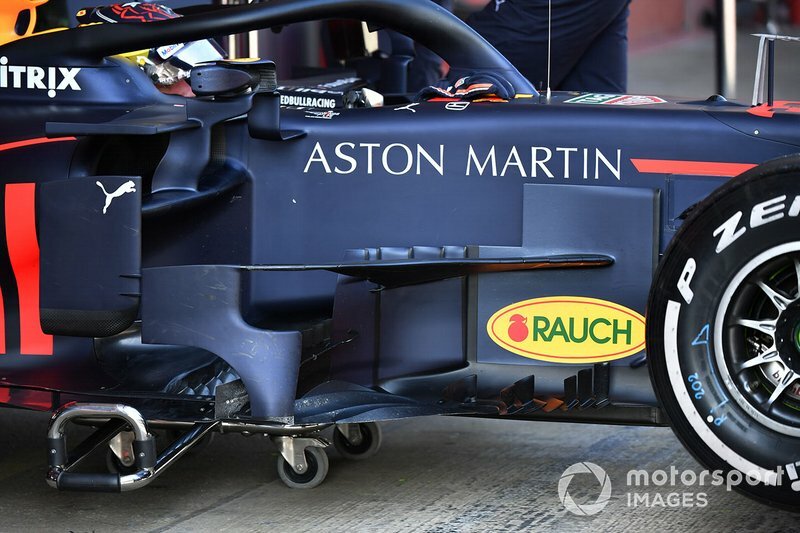 The Red Bull RB15 with flo-viz painted onto the front suspension, as the team looks to confirm that it’s working as anticipated from an aerodynamic point of view. 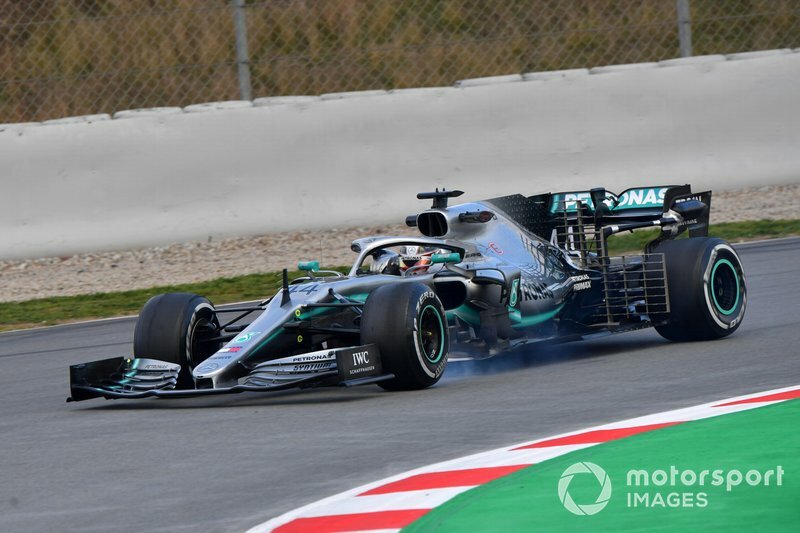 Lewis Hamilton at the wheel of his Mercedes W10, which is outfitted with a kiel probe array in and around the car’s coke-bottle region. 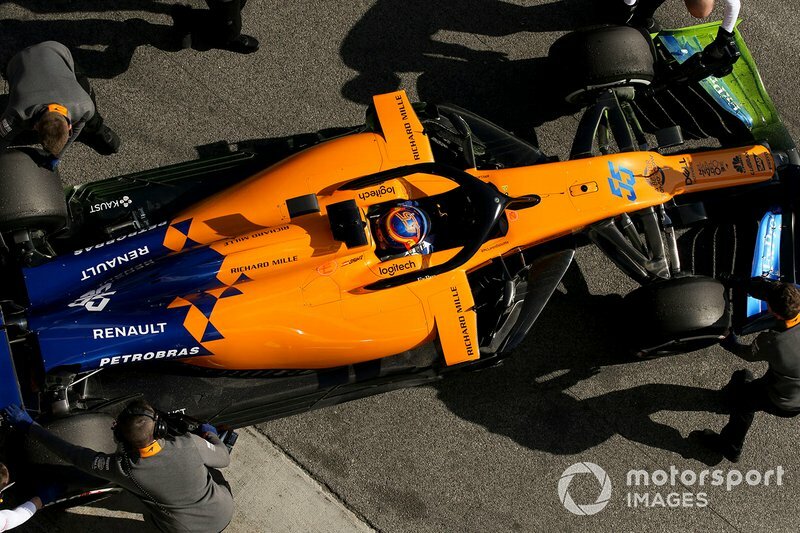 Lando Norris at the wheel of the MCL34 with kiel probe arrays mounted behind the front wheels, note also the enlarged camera pods on the side of the airbox which carry a number of additional cameras, including thermal imaging ones looking back at the rear tyres. 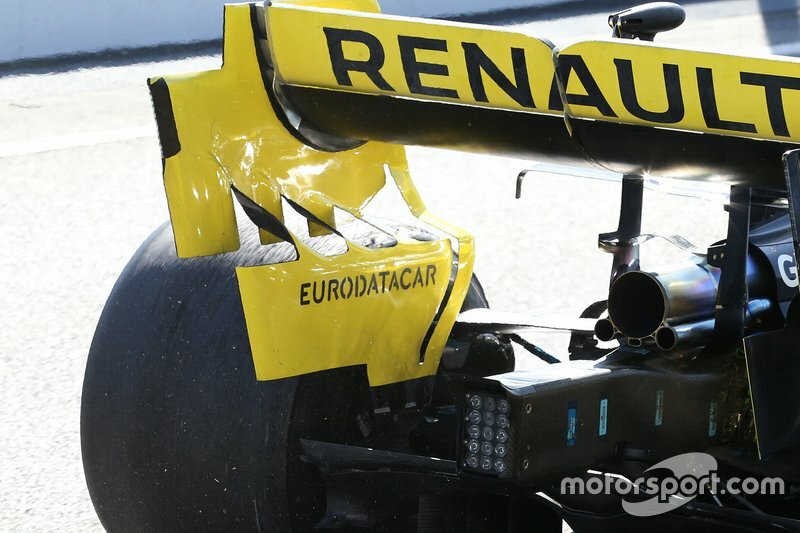 In this close up of the Renault RS19’s wing mirrors we can see they’re made up of two pieces and mounted to both the cockpit and leading edge of the sidepod. 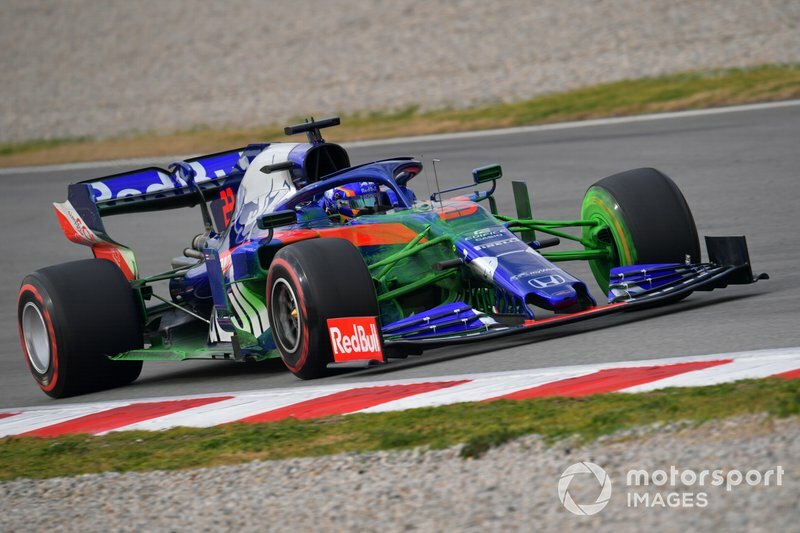 The Toro Rosso STR14 absolutely plastered in flo-viz as the team try to work out if all of the surfaces are working in conjunction with one another. 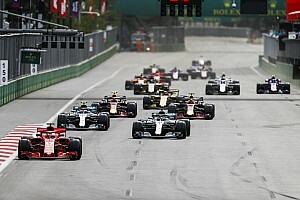 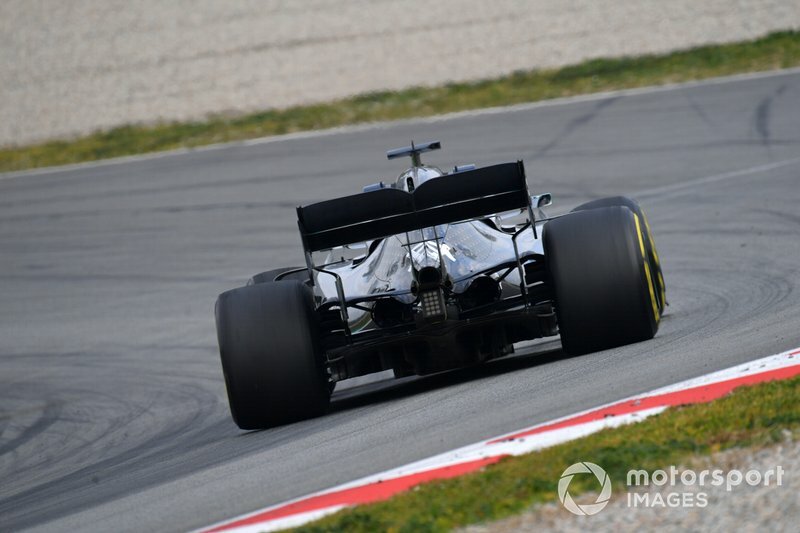 The small cooling outlets that are present on the Mercedes W10 can be seen from behind, which would indicate that the team is just looking for mileage and have no intent of showing off the car’s raw performance capabilities at this stage. 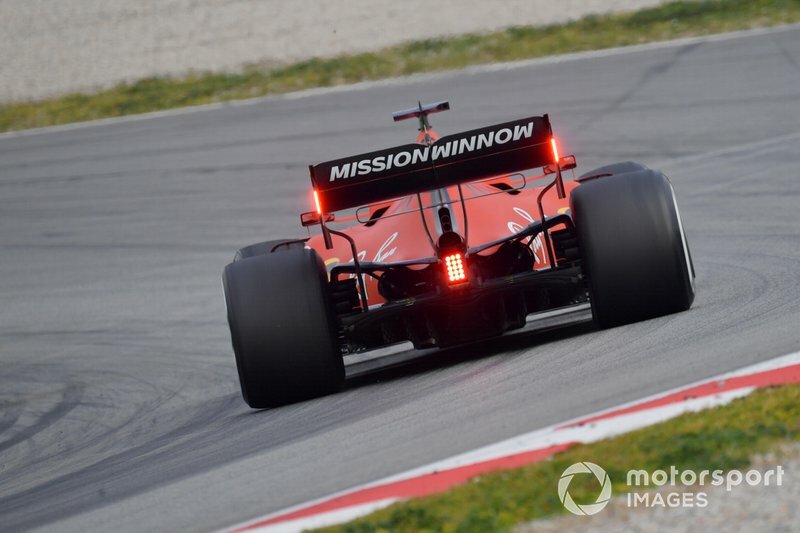 As a comparison the Ferrari SF90 from behind, which also has a relatively small cooling outlet. 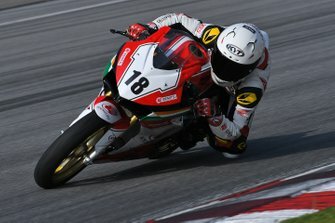 Also note the placement of the wastegate outlets on top of the main exhaust outlet. 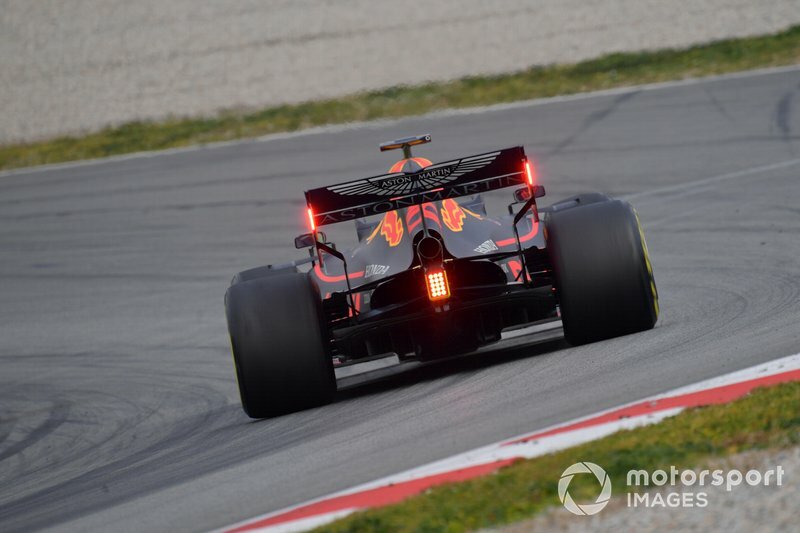 The Red Bull RB15 from a similar rearward angle shows that the team have opened up a little more cooling capacity at this stage, with the bodywork far less pared in around the exhaust outlets too. 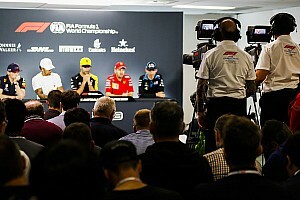 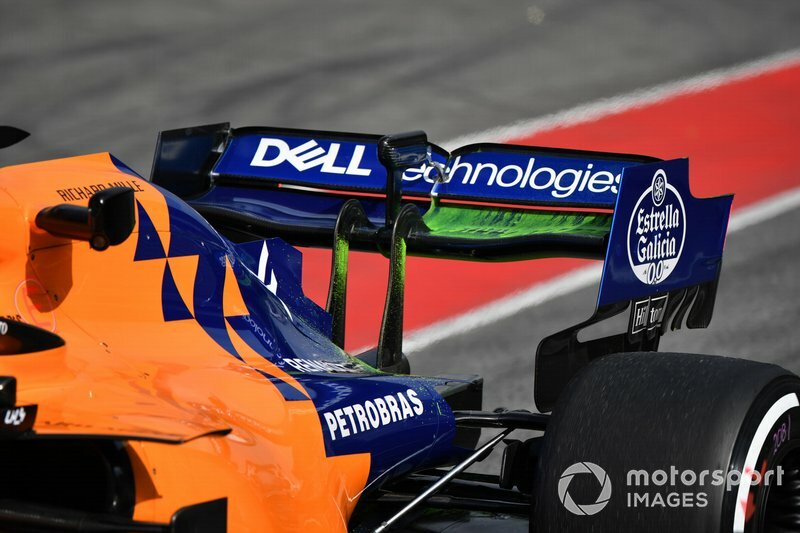 The MCL34 from behind with its cooling outlet placed much higher but allowing a much taller undercut in the coke-bottle region. 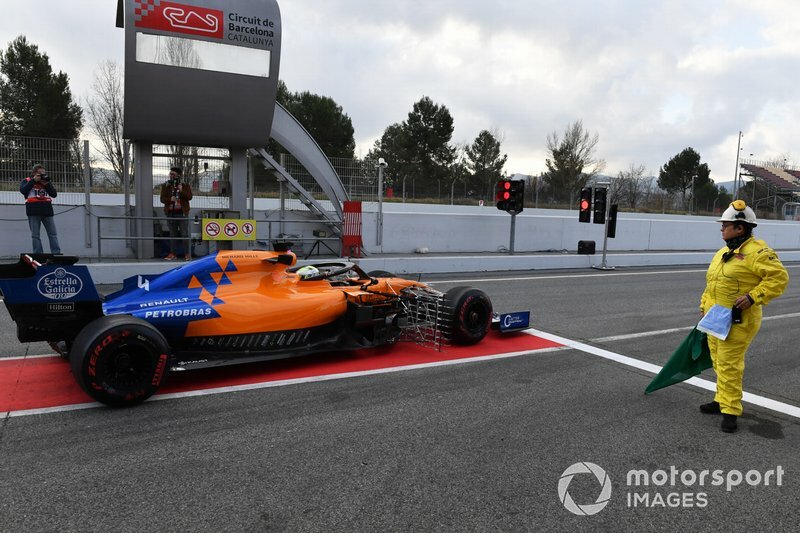 Flo-viz paint on the left-hand side of the McLaren MCL34 as it looks to establish whether the mainplane is working as anticipated. 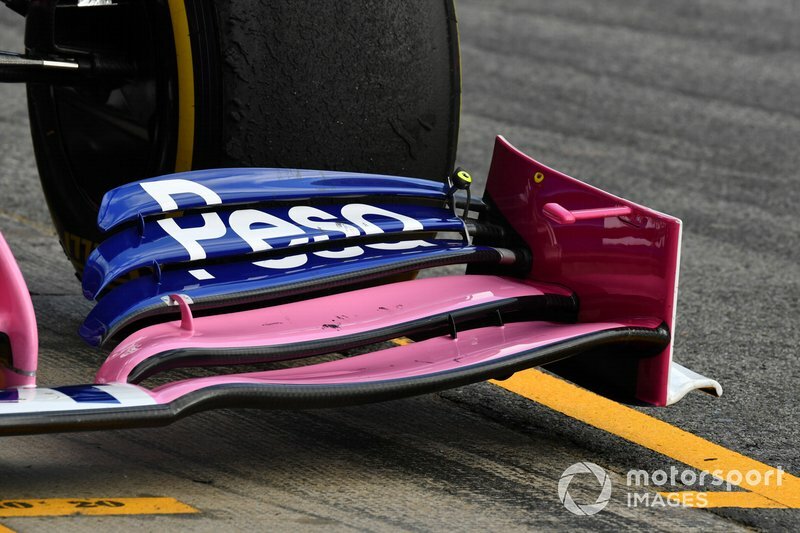 More flo-viz on the front side of the rear wing's mainplane. 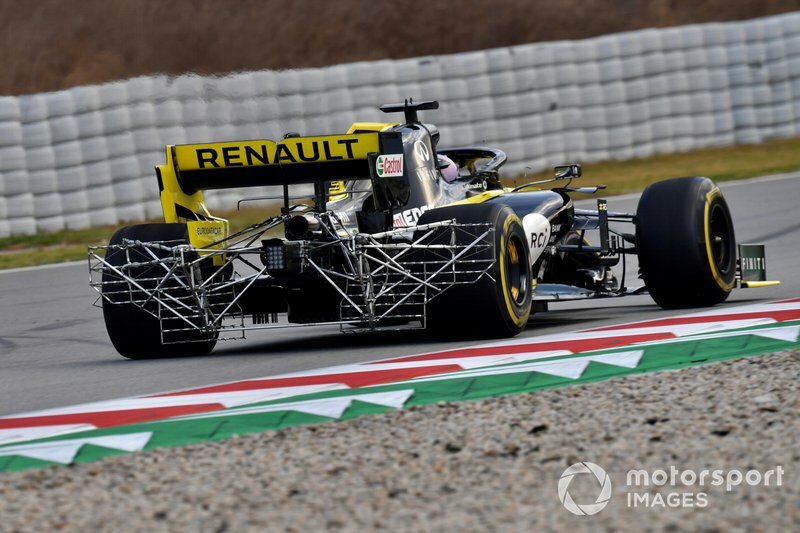 The Renault RS19 outfitted with a large kiel probe array at the rear of the car as the team looks to study the behaviour of diffuser and rear wheel wake. 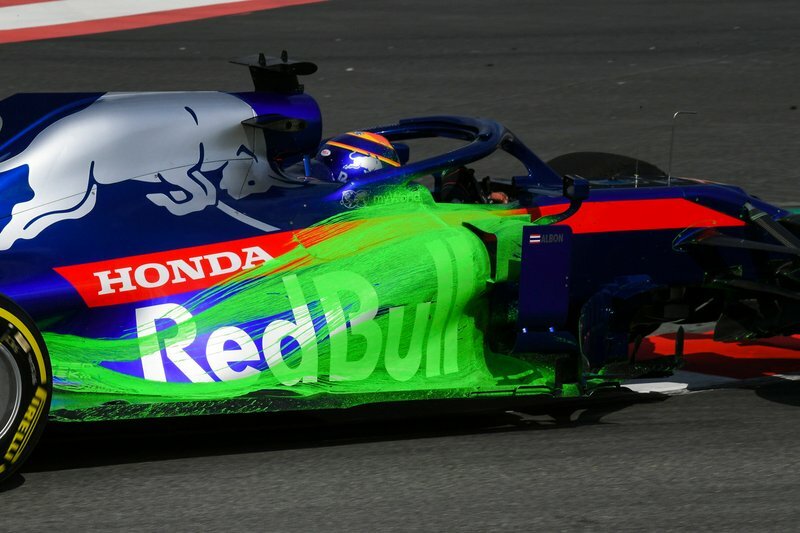 The Toro Rosso STR14 with flo- viz paint applied to the sidepods gives an indication of how the airflow moves around the car. 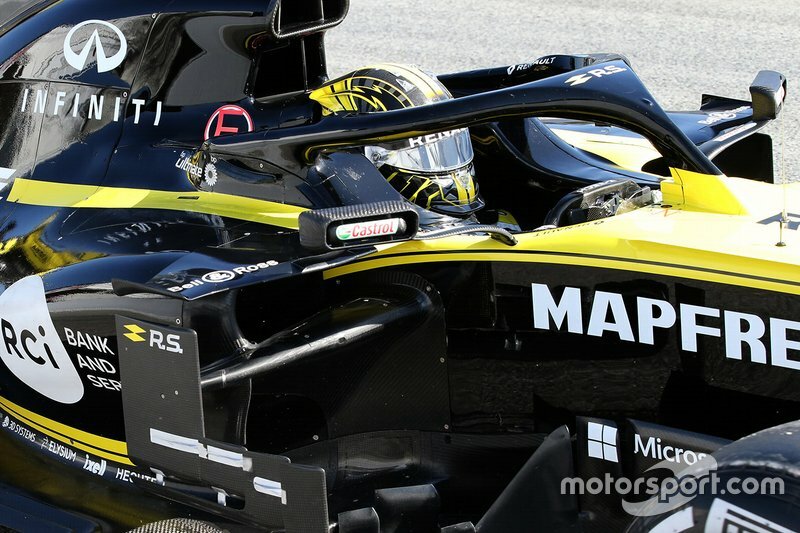 A good look at the RS19’s rear wing which differs from the one shown at the launch and the renders given that it features the straked elements in the transition zone. 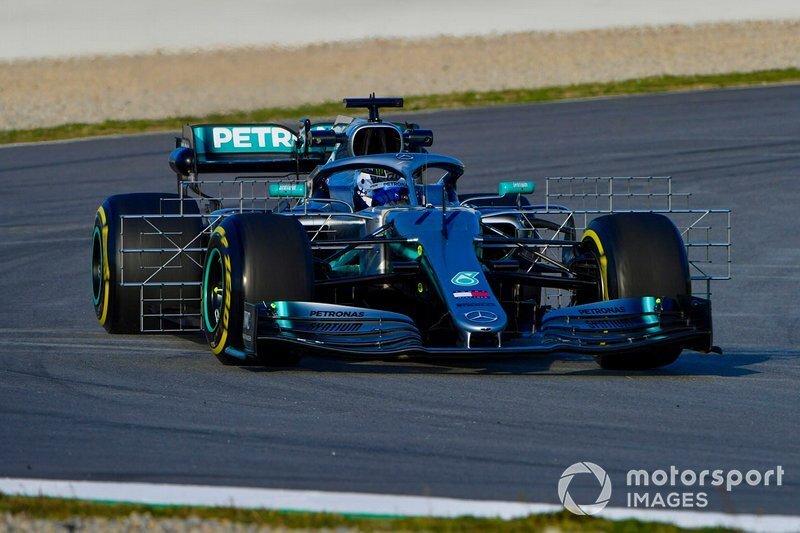 The kiel probe arrays mounted behind the front wheels on the Mercedes W10 are a little wider than have been typically used over the last few years, given where the wake is now likely heading. 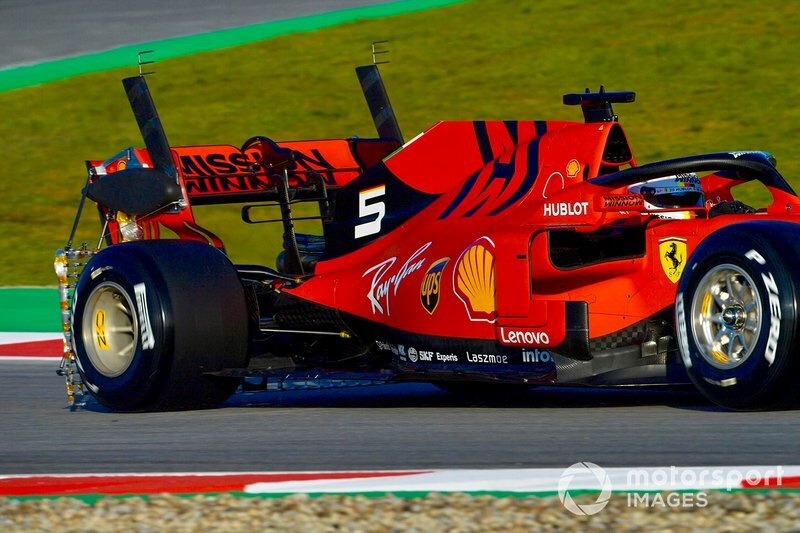 The Ferrari SF90 with a huge kiel probe array mounted behind the diffuser and stanchions with pitot tubes mounted high above the rear wing. A look at the front suspension upright extension and high mounted wishbone on the Alfa Romeo C38. 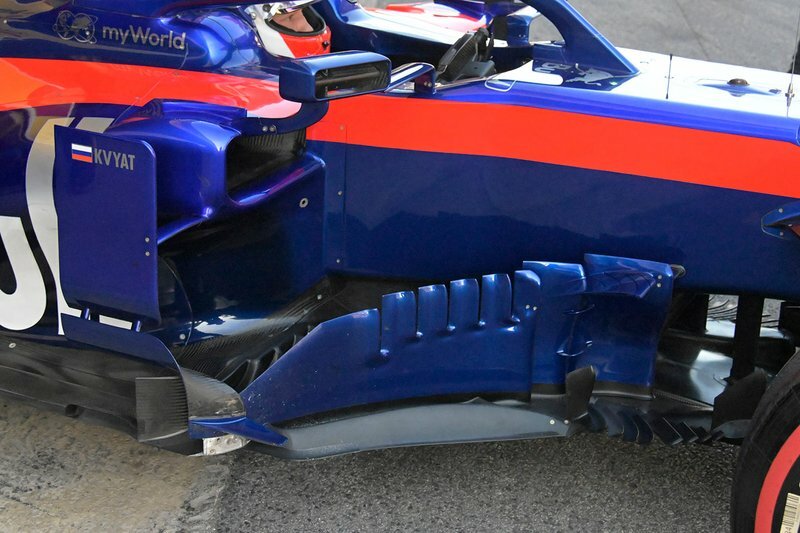 An overview of the area ahead of the sidepods on the Toro Rosso STR14 including the complex bargeboard array, with the various vertical slots. 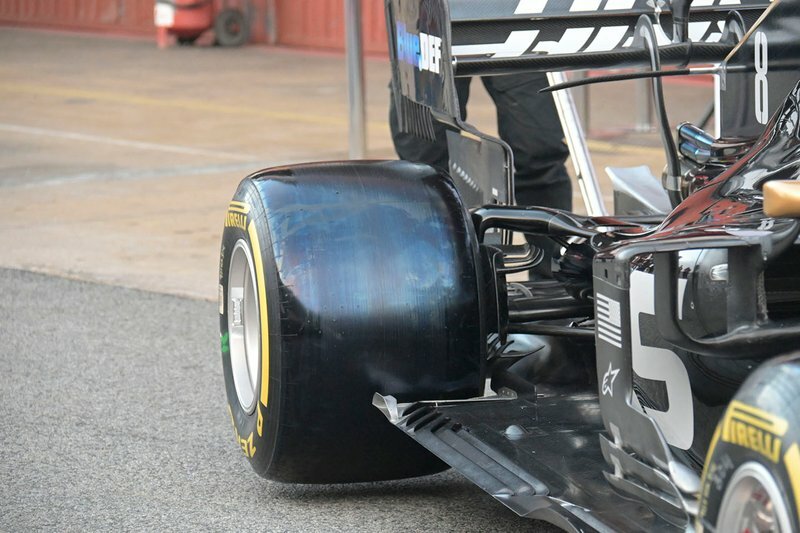 The sidepod deflectors have a nice separated lower element that arches over to meet the front edge of the floor and axehead. 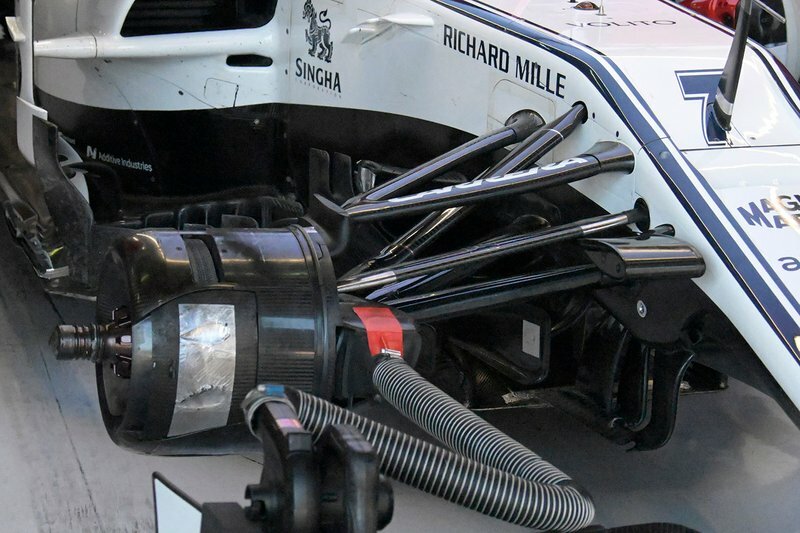 The Haas VF19 rear end which has a complex array of elements either hung from the rear wing and rear brake duct. 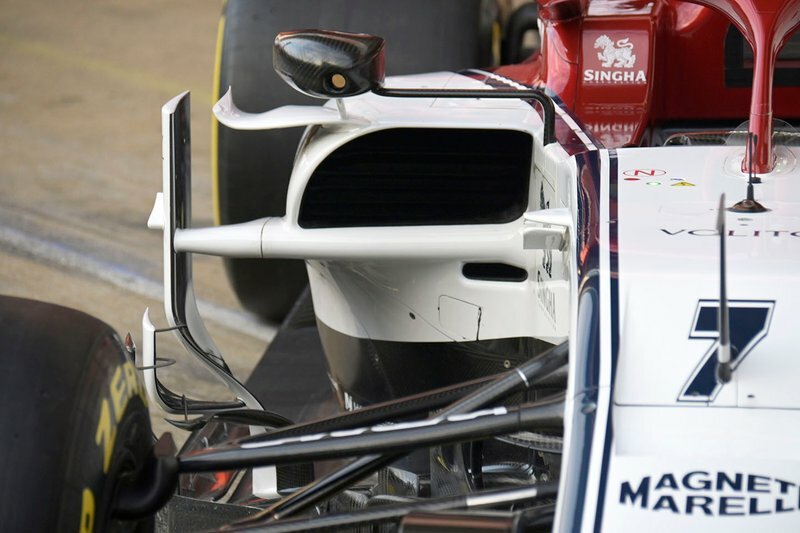 A close up of the Alfa Romeo’s C38 sidepods which feature the now almost universal low slung side impact spars and periscope style inlets, whilst Alfa have copied the over the top winglet first seen used at Red Bull last season. 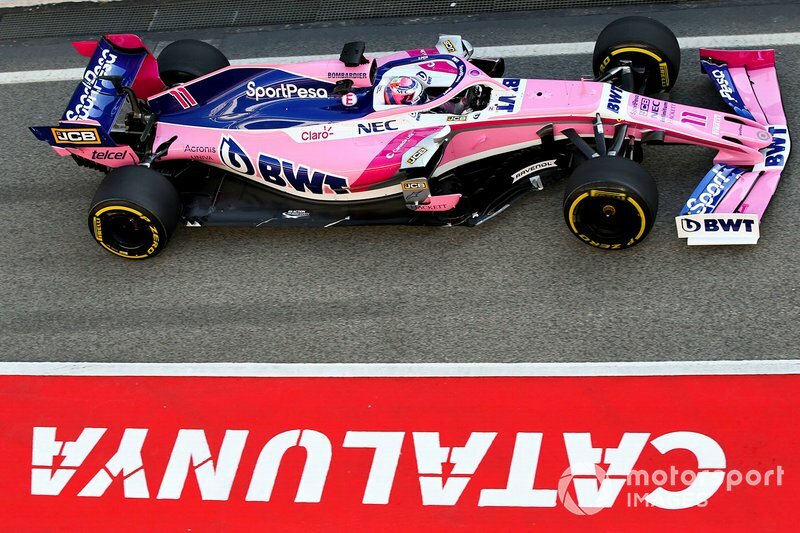 A nice topside view of Racing Point RP19 shows off the team’s new approach to their sidepods, with the team now utilizing the now almost universal high-mounted sidepod solution. 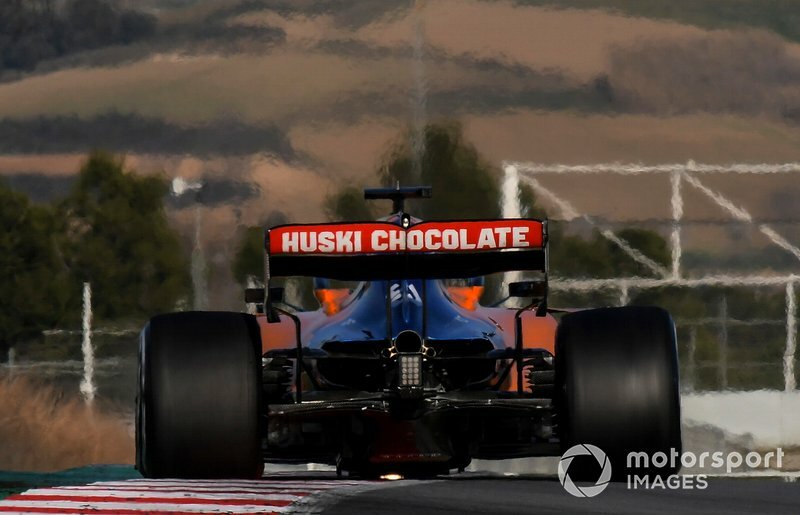 A lovely top-down overview of the McLaren MCL34 shows how the sidepods taper in at the rear before reaching the upper cooling outlet. 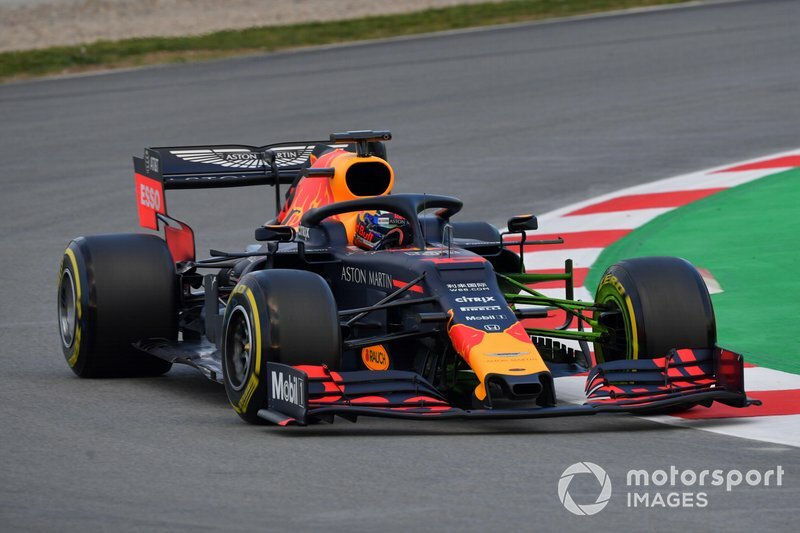 The RB15’s bargeboard and sidepod deflectors which help to guide the airflow and protect it from the wake created by the front tyre. 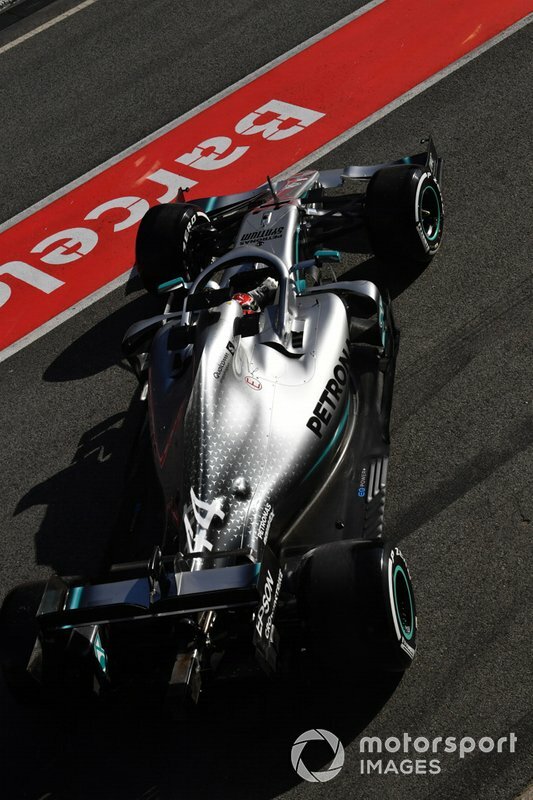 A great top-down overview of the Mercedes W10 shows just how much the sidepods taper in at the rear of the car.